It starts with the killer views from the wrap-around rooftop deck: the Alto, at 3rd & Cedar Streets, is without a doubt Belltown's most desirable apartment building. Sure, there are condos with better amenities, and there are usually plenty of units for lease by absentee owners in those buildings (Seattle Heights, the Concord, the Ellington), but for a pure apartment building, go for the Alto. 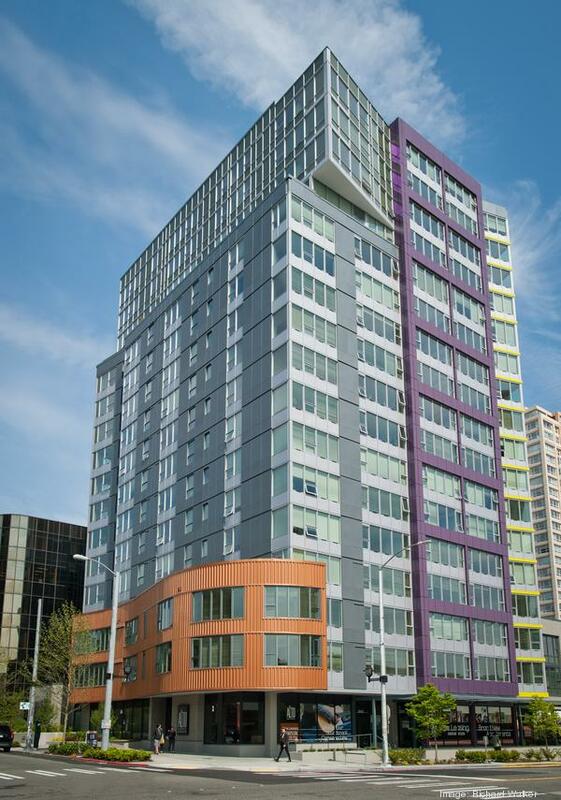 Rent, for a one bedroom, is a bit on the high side ($1,400 to $2,100), but that revenue stream, along with the high demand for rentals in Belltown, was one of the selling points for the building's new owners, Hartz Mountain of Secaucus, NJ. They paid $62.3 million for the 17-story, 184-unit Alto, which works out to $330,000 and change per unit. In other words, roughly what condo owners pay for similar spaces in the condo towers. The sellers were the developers of the property, Harbor Urban and Cigna Realty Investors. The sale was reported last week by the Puget Sound Business Journal. "When construction of Alto started in November 2010, apartment developers were optimistic because job growth was taking off and very few new apartments had been built. 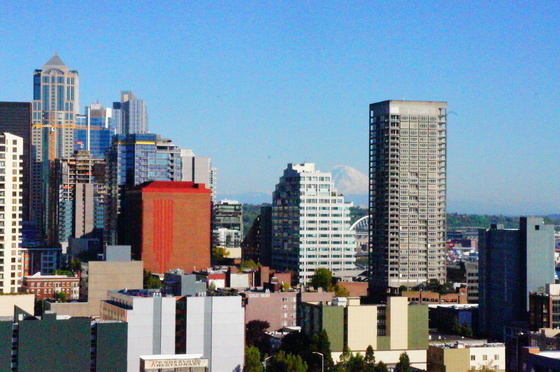 At the time, Seattle-based Dupre + Scott Apartment Advisors said apartment rents could climb 25 percent in the next five years. And that's what is happening. From the fall of 2010 to this spring, rents in and around Belltown increased nearly 18 percent to $1,712, according to Dupre + Scott." Alto came on line in 2011 and filled up in 90 days. And the downtown boom continues:as of last month, 30 residential projects were under construction or permitted, representing about 5,400 new housing units, according to the Downtown Seattle Association. For its part, Harbor Urban has been selling assets and tapping sources of equity to gear up for even more development. Last year, the company raised $360 million by selling off completed projects. And earlier this year they announced that deep-pockets Carlyle Group was becoming an equity partner on two of its new, in-city projects. This page contains a single entry by Cornichon published on July 22, 2013 10:00 AM. The real Bite of Seattle was the previous entry in this blog. View from the top is the next entry in this blog.